The Absaroka Mountain Range is a sub-range on the eastern side of the Rocky Mountains stretching for about 150 miles across the Montana-Wyoming border. A complex range, it takes significant effort to learn all the various groups, sections, and drainages. More specifically a member of the Central Rocky Mountain Chain stretching from Livingston (Montana) to a point east of Dubois Wyoming, it forms the core of the Yellowstone region of the Central Rockies. Some 165 miles in length and 75 miles wide at its widest. It is, depending on how one measures, the largest individual range in the 1200-mile-long Rocky Mountain Chain. The Continental Divide passes through the southwestern corner of the range but not near the crest. The range wraps around the eastern and northern boundary of Yellowstone National Park. The high alpine meadows have prolific wild flower displays in the summer months starting with the balsamroot in early June. Tall perennials such as cow parsnip, penstemon, lupine, monkshood, and western coneflower. These plants grow so tall that they obscure lightly used trails by midsummer. Black bears are relatively common, elk and moose are abundant; there is a population of mountain goats in the much of the middle of the range. It is the home to many trophy mule deer. Grizzly bears, which move in winter from Yellowstone National Park to the nearby lower elevations of the Absaroka Range Wolves, are seen regularly. There are many grizzlies here so use all due caution. Blue ribbon trout fishing is to be found throughout the range. The Yellowstone River, the Shoshone River, the Wind River, the Bolder River, and the Lamar River the Clarks Fork the Grey Bull River and the Wood River all originate in these mountains and all provide excellent fishing. These rivers also provide lots of whitewater fun for rafters, canoers and kayakers. The South Fork Shoshone, near Cody, Wyoming, has, within the last decade, emerged as a "hot" spot for ice climbing. It is home to the annual South Fork Ice Climbing Festival. The South Fork is reached via State Road #291 from the SW edge of Cody. It's about 35 miles to the end of the road and hundreds of frozen water features. The range is home to the Beartooth Scenic Highway Author Charles Kurault described the Beartooth Scenic Highway as "the most beautiful drive in America." In 1989, the highway received national recognition when it was designated a National Scenic Byway. Only 52 other drives in the country share this distinction. Much of the Absaroka Range is protected, not only by Yellowstone Park, but also the Absaroka-Beartooth Wilderness Area, North Absaroka Wilderness Area, Teton Wilderness Area, and Washakie Wilderness Area. 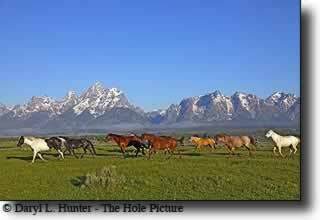 The Absaroka are the fourth highest range in Wyoming and the Central Rockies. Though the Absaroka volcanic activity has died and the sources have become indistinct, the active Yellowstone caldera hotspot has since appeared and is slowly creeping east, under the range. The Absaroka Range has the distinction of being bestowed the world's first National Forest. The Shoshone National Forest was established in 1891 due to its corridor proximity to Yellowstone Park. At 2.4 million acres, it is one of the largest in the national forest system. The Absaroka Range is drained by the Yellowstone River, Wind River, Shoshone River the Clarks Fork of the Yellowstone and various tributaries, to the Bighorn River. The northern boundary of the range is along I-90 near Livingston, Montana. From there the range trends south where it is bound on the west by the Yellowstone River in Paradise Valley and on the east by the Boulder River. The Boulder River begins in the Beartooth Mountains, and flows due north towards its confluence with the River in the town of Big Timber. Near the border of Yellowstone Park the character of the Absaroka changes as it trends southeast in this region the Beartooth Range abuts to the northeast. South of this, the Absaroka widen considerably. Continuing to trend south and east, they are then bound on the west by the Yellowstone Plateau, the east by the Bighorn Basin and the southwest by Jackson Hole. On the west side of the range, the land unfolds in a series of stunning meadows interspersed with copses of fir and limber pine. Once the snow has left the wild flowers appear, seemingly overnight, covering meadows and slopes in brilliant colors. The west side of the southern face (sometimes referred to locally as the Washakie Range) meets a high plateau (the Union Pass area) where three additional ranges meet. The southeast section of the range is the crest and contains the 19 highest peaks. Just south of this, the east side of the southern tip of the range rolls into the desert regions of the upper Wind River Basin east of Dubois, Wyoming. The Absaroka is part of the apex of the contiguous United States in another way: they are the hydrologic triple divide. In this section of the Continental Divide, waters flow either to the Pacific via the Snake River drainage, to the Sea of Cortez via the Green River drainage, or to the Gulf of Mexico via the Yellowstone River. Some of the Abasaroka’s highest peaks include Pilot Peak, Eagle Peak which is difficult to spot, near higher summits; the highpoint of the YNP boundary, Emigrant Peak the dominant peak in Paradise Valley and Mount Cowen. Avalanche Peak is the highpoint of the Montana subsection and is one of the most visited summits in Wyoming due to easy access, park traffic, and ranger hikes. There are two distinct portions to the range with geological differences. The larger section (mostly in Wyoming) is largely composed of volcanic breccia. North of the state line, there is a transition (along the same fault lines and crest) to peaks composed of granitic and gneissic bedrock. This gives most of the Montana section a different character though rock of either type is found in many areas. Eons of lava flows from a succession of volcanoes were sculpted by glaciers into some of the most phenomenal spires and turrets in the Rockies. The sharper breccia peaks are, however, notoriously loose. They sometimes appear constructed of conglomerate similar to other areas in the Rockies (such as one finds in the pink conglomerate of Colorado's Crestone Peaks) but the ash matrix is largely softer and, while climbing, holds can become portable. This doesn't deter "cobblehead" aficionados who become accustomed to the safety requirements of the area. Frustrated climbers often describe the routes as "kitty litter." Long cliff bands are the norm; often turning 90-degree angles, many are topped by alpine plateaus. Tucked into seldom-visited valleys, spur ridges have been glacially sculpted into tall needles and fins. The Montana section of the range is of a different character, it has firmer rock and several summits have solid trad routes. This range of mountains has had an unfortunate christening history. First named the Yellowstone Range, as it is the genesis of the Yellowstone River. The original name dates from as far back as 1863, and was adopted by the first explorers of the Park country. And was officially recognized in 1871, by both the Corps of Engineers and the United States Geological Survey. 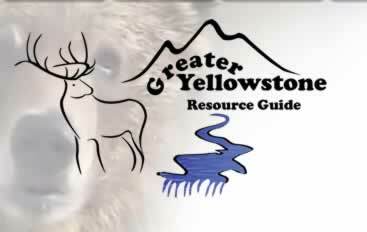 When Yellowstone Park was created in 1872 the Yellowstone Range became its real eastern boundary. The name had thus, an added claim to perpetuity. It passed into general use, and appears in all the writings of the United States Geological Survey down to 1883.However in 1873, Captain W. A. Jones, of the Corps of Engineers, led an expedition through these mountains—the first that ever crossed them. 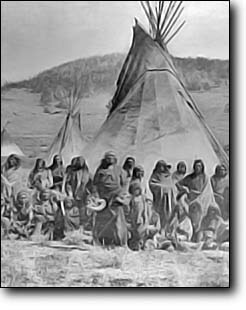 He gave them a new name, "The Sierra Shoshone." Except for the fact that he was violating the rule of priority, his action in giving this name, as well as his judgment in its selection, were of unquestionable propriety. It was a tribe of the Shoshouean family who alone dwelt in the Park, or among these mountains, and it was entirely fitting to commemorate this fact in a distinct and permanent manner. The name passed rapidly into public use, and by 1880 had practically supplanted the original name. For reasons that can hardly be made to appear satisfactory, the United States Geological Survey, in 1883, or soon after, rejected both these names and adopted in their place Absaroka. Captain William Jones of the Army Corps of Engineers, 1873 was the first official explorer to penetrate and research the Absaroka Range. He climbed "I have named these mountains 'The Sierra Shoshonee' because the right to name them is clearly mine, as I have been the first to cross them and mark out their geographical position and extent." The first non-native to explore the Absaroka was John Colter who left the Corps of Discovery in 1806. Since then the country has seen trappers, miners, soldiers, sheep men, and cattle ranchers, and most recently people who come merely to enjoy its majestic beauty. But, the name Beartooth has remained to identify the region till the present day.